There aren't many video recordings of me reading, but here is one. The evening was hosted and curated by Daniel Renton and the videography was done by Alexandra Prochshenko. Back in December, I taped an interview with Shelagh Rogers for her CBC books radio program The Next Chapter. My segment aired on the April 13, 2019, episode, along with an interview with my friend Ayelet Tsabari. 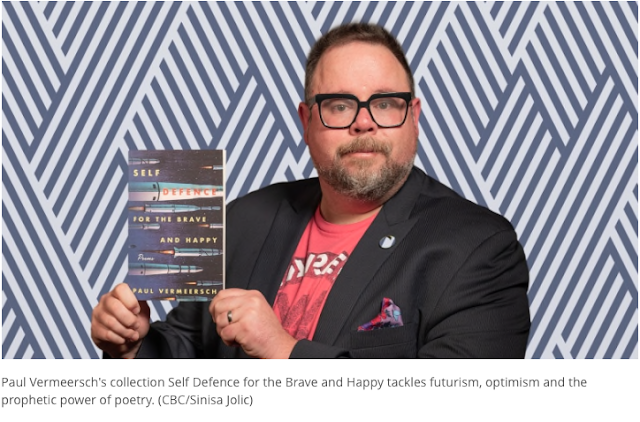 We talk about my book Self-Defence for the Brave and Happy: monsters, technology, the future, and hope. Many thanks to Shelagh and to producer Barb Carey for making the entire experience positive and fun. You can listen to my segment here. And you can hear the entire episode here.